Due to its flexibility and convenience, online education has become a feasible alternative for degree seeking students who are unable to attend a traditional higher education institution. Although online courses and programs have their benefits, there remains an ongoing debate on issues related to credibility, quality, and acceptability among certain stakeholders including faculty, administrators, and employers. The current study focuses on one group of stakeholders-namely, hiring gatekeepers and employers; that is, those who are directly involved in the hiring process. Specifically, the objective is to explore hiring gatekeeper and employer acceptability of online degrees as a sufficient credential for employment. The data for this study was collected through a survey apparatus. Survey results reveal that there is still a strong preference among employers for traditional degree holding candidates. However, data also indicated some perceived difference in attitudes and perceptions based on an employer's position and industry. Higher education is undergoing a profound transition. That is to say education is moving from a historic classroom model to an online delivery model. This transition should come as no surprise as new technology has provided the opportunity for students to obtain an online degree. In fact, students are demanding flexible educational opportunities with unlimited geographical borders. Allen and Seaman (2013) report that in the fall 2011 term, over 6.7 million students were taking at least one online course. Additionally, these authors note that 32 percent of all higher education students now take at least one course online. For the purposes of this proposal, online courses are those in which at least 80 percent of the course content is delivered online (Allen & Seaman, 2011). While stakeholders continue to articulate their concerns and simultaneously acknowledge the enormous potential of online learning models, the impact of globalization is driving higher education institutions to recognize the urgency of offering online learning opportunities (Bramble & Panda, 2008). More specifically, the authors maintain that without providing new virtual learning opportunities, institutions are increasingly facing a risk of having their student markets erode. Garrison and Kanuka (2008) also discuss a case study published by the Open Learning Foundation, which indicates a widespread perception that traditional higher education institutions are not effectively meeting the demands and needs of non-traditional student learners, and the field is open for innovative providers to meet these increasing market demands. Garrison and Kanuka specifically mention higher education institutions in countries such as the United Kingdom, Norway, and Australia (p. 17). Further, many of these new providers highlight their commitment to the non-traditional learners and boast excellence in student services, online pedagogy, curriculum, and professional development (Bramble & Panda, 2008, p. 17). While innovative instructional models in higher education continue and develop, important concerns remain. Among these concerns are issues related to the quality, effectiveness, acceptability and comparability between traditional classroom education and online education. Thus far the research in one of these areas, the acceptability of online learning, has failed to receive much attention. Particularly, not much is known about employer reactions to online learning and how hiring decisions are made when an online degree is presented as an employment credential. As students continue to make decisions for online education, it is essential that employer views surrounding credibility, value, effectiveness, and comparability to a traditional classroom learning experience be explored and updated. In one of the few studies conducted on this topic, Adams and DeFleur’s (2006) noted that many hiring gatekeepers remained reluctant to employ individuals who earned their degrees from online programs. Again in 2007, Seibold found that national career counseling and job placement firms were advising clients not to disclose their online degree or credentials because employers often view online degrees as less prestigious (than traditional degrees). With the continued expansion of online education and online degree offerings even from public and private prestigious institutions, it is important to find out whether these employer attitudes and perceptions still persist. 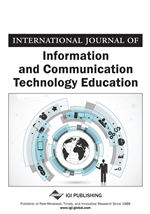 In this research study, the attitudes and perceptions of hiring gatekeepers and employers towards online degrees and the hiring of applicants with online degrees (from traditional higher education institutions) are examined. This study is significant as higher education institutions continue to push and support online education while arguing that this modality ensures the same quality of academic excellence as traditional higher education institutions.